Camo Hat by Legacy with Shield. This army green camo hat features a grey suede front with an embroidered athletic shield and adjustable back strap. Classic Fit Under Armour Hat in Purple. 100% Polyester. This hat features heatgear technology. 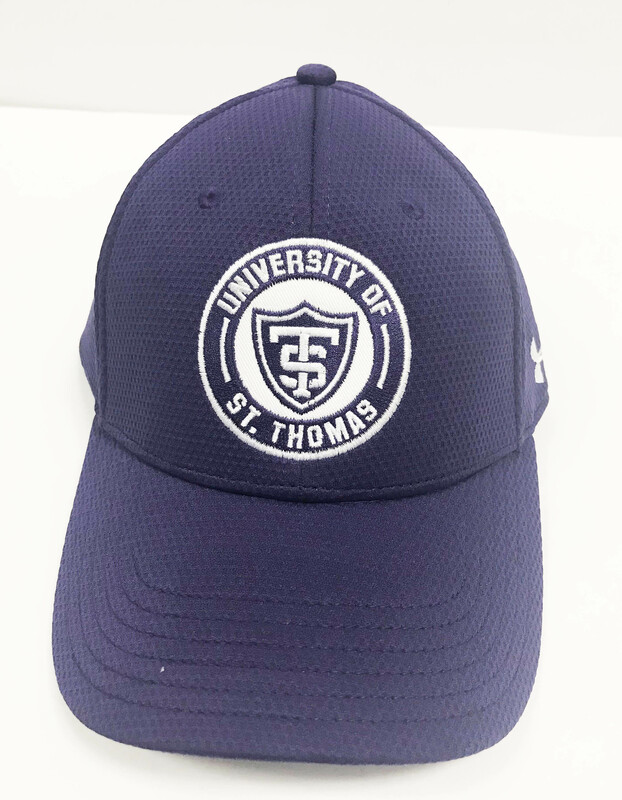 University of St. Thomas with Shield embroidered on front. 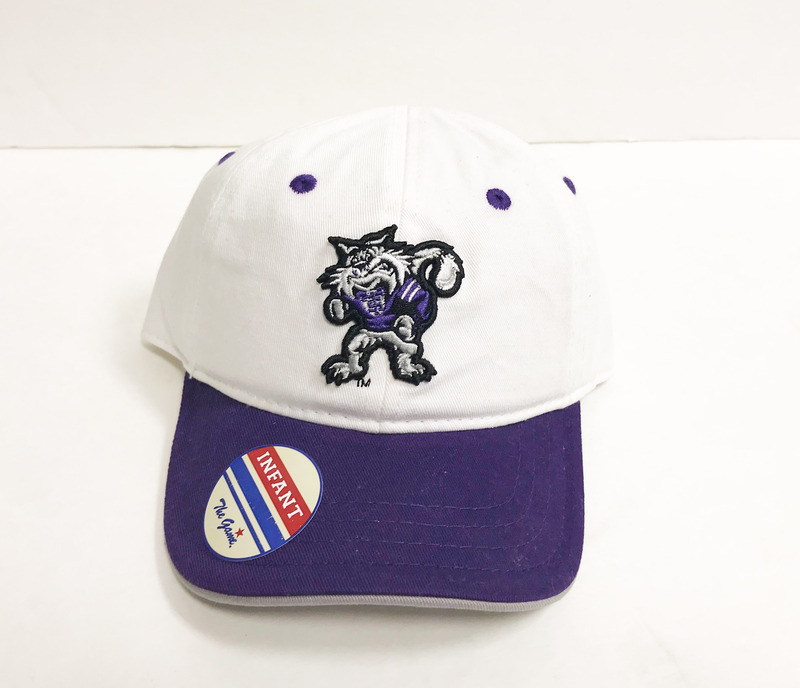 Please select option for Classic Fit Under Armour Hat in Purple. Classic Fit Under Armour Hat in White. Classic Fit Under Armour Hat in White. 100% Polyester. This hat features heatgear technology. 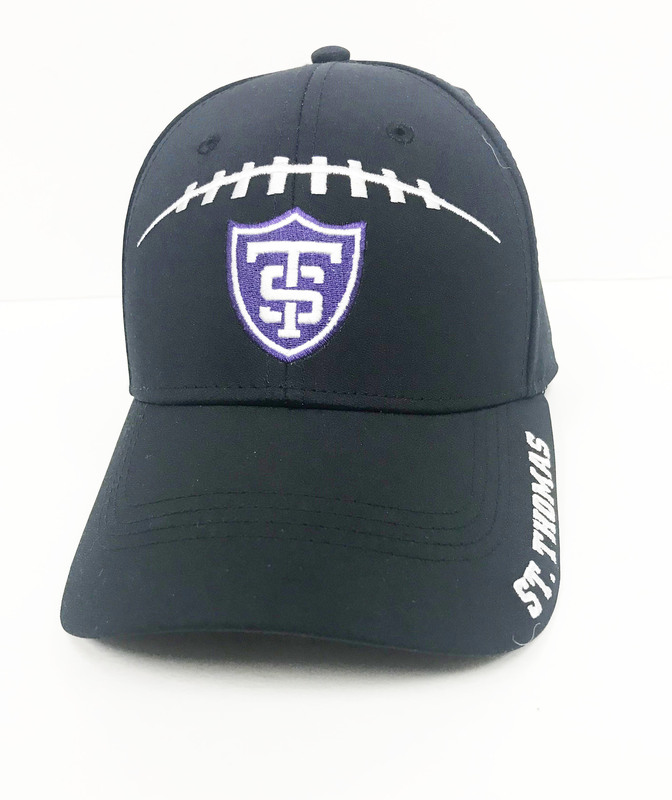 University of St. Thomas with Shield embroidered on front. Please select option for Classic Fit Under Armour Hat in White.. Faded Purple Hat by The Game. 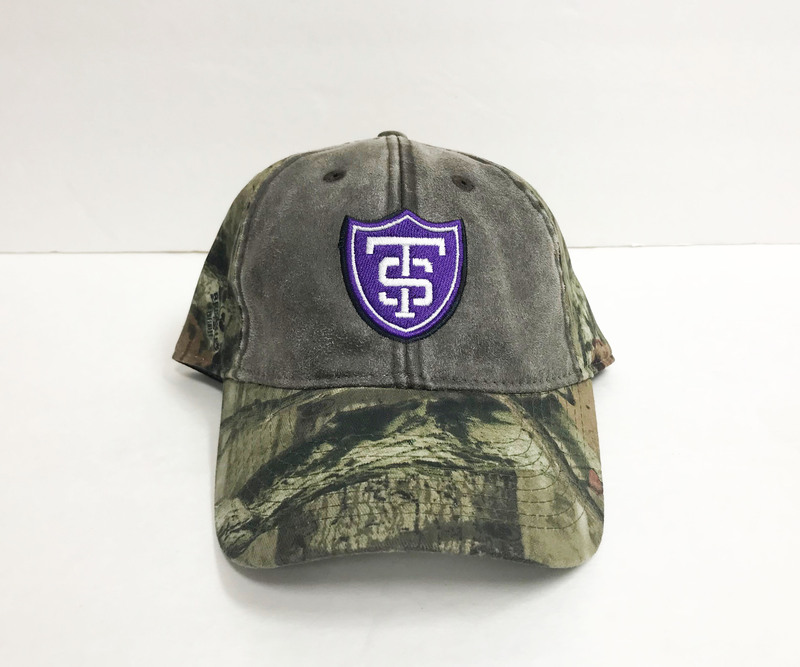 This hat features an Athletic Shield embroidered on the front and "Tommies" in white on the side. Backside is purple mesh with an adjustable snap back. Faded Purple Trucker Hat with Grey Mesh by Legacy. 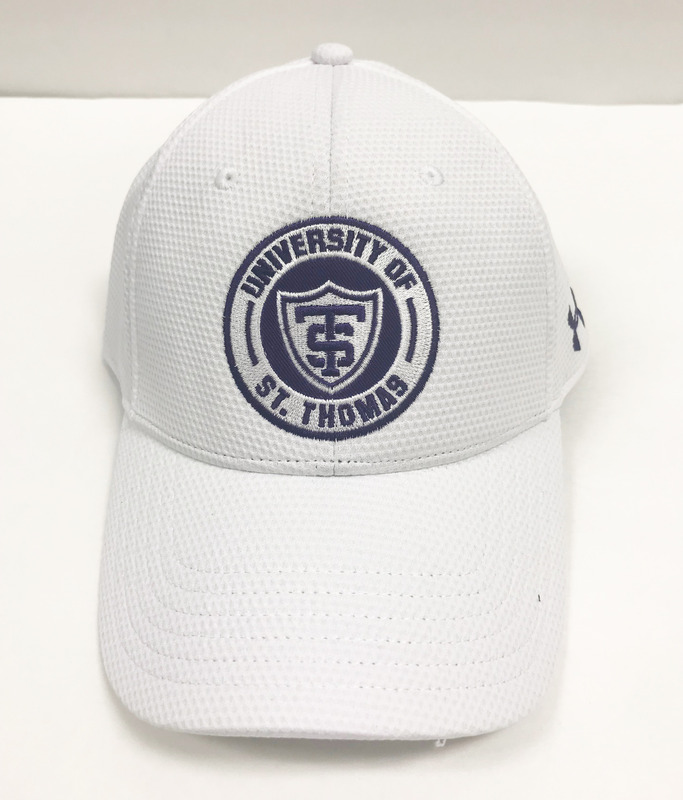 This hat features a University of St. Thomas patch and an adjustable back. Black Hat with embroidered laces and athletic shield by The Game. Features a buckle back. This hat features a skyline patch and an adjustable back. 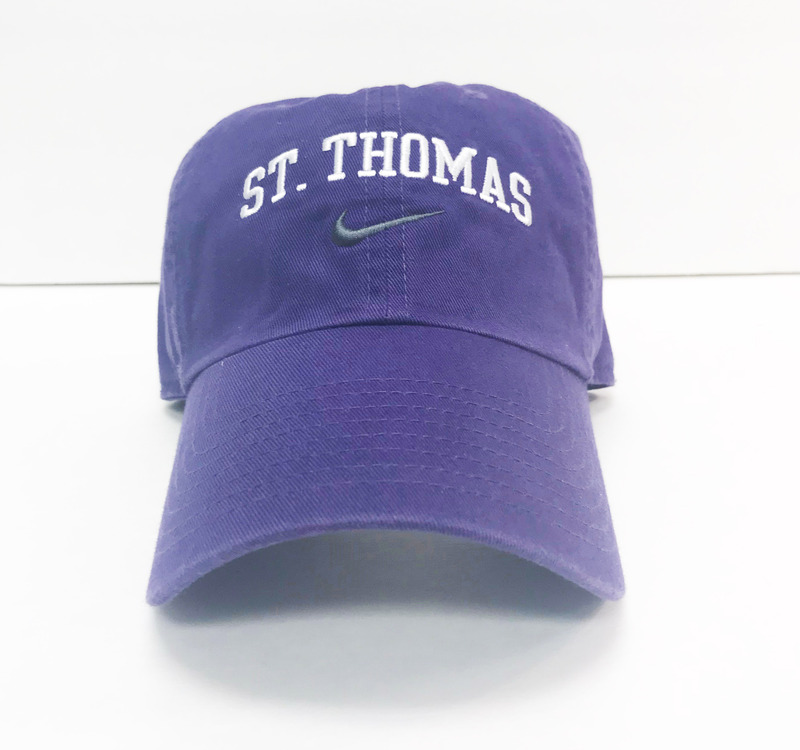 Nike Charcoal Hat with Embroidered "St. Thomas" & swoosh. 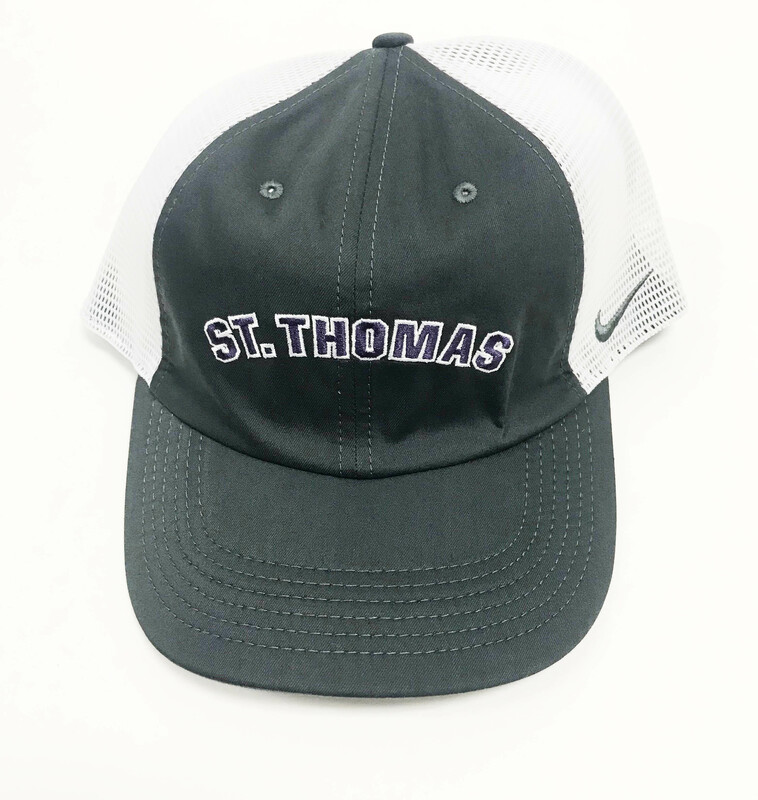 Nike Charcoal Hat with Embroidered "St. Thomas" & swoosh. Adjustable back. 100% cotton. One size fits most. Nike Heritage purple baseball hat. Nike Heritage purple baseball hat. This unisex hat features an adjustable back. Nike Heritage purple basketball hat. This unisex hat features an adjustable back. Nike Heritage purple football hat. This unisex hat features an adjustable back. 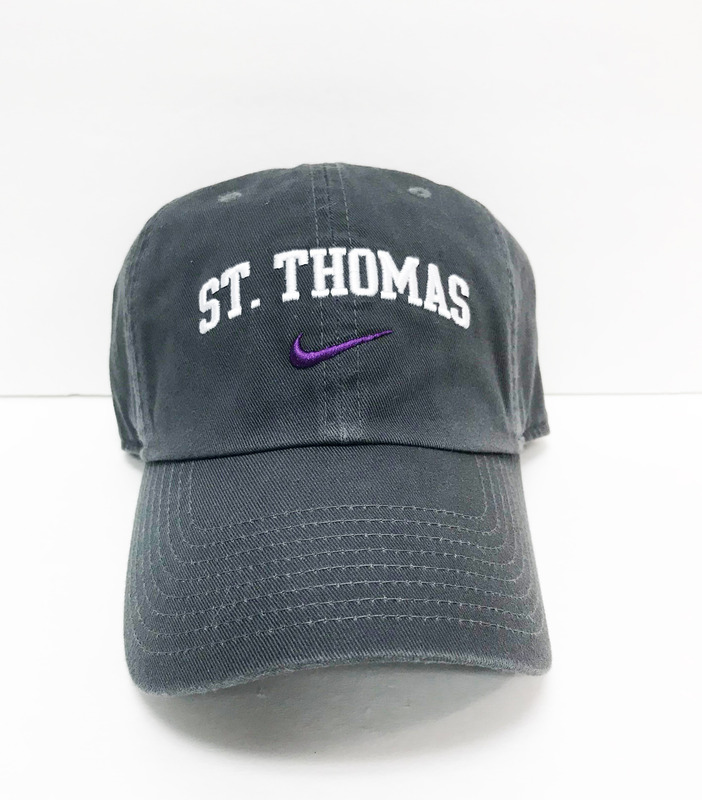 Nike Mesh Hat- Grey with "St. Thomas"
Nike Purple Hat with Embroidered "St. Thomas" & swoosh. Adjustable back. 100% cotton. One size fits most. Purple and Gray Fitted Hat by Nike. This hat features Dri-Fit and swoosh fit technology with raised embroidered letters. The backside has an embroidered athletic shield. 97% Polyester and 3% Spandex. Purple and Grey Hat with Grey mesh and a Snap Back w/ Shield by the game. This hat features a honey comb pattern and an embroidered athletic shield patch. Purple hat - Tommie Mommie by Legacy. This relaxed twill hat features an adjustable back. 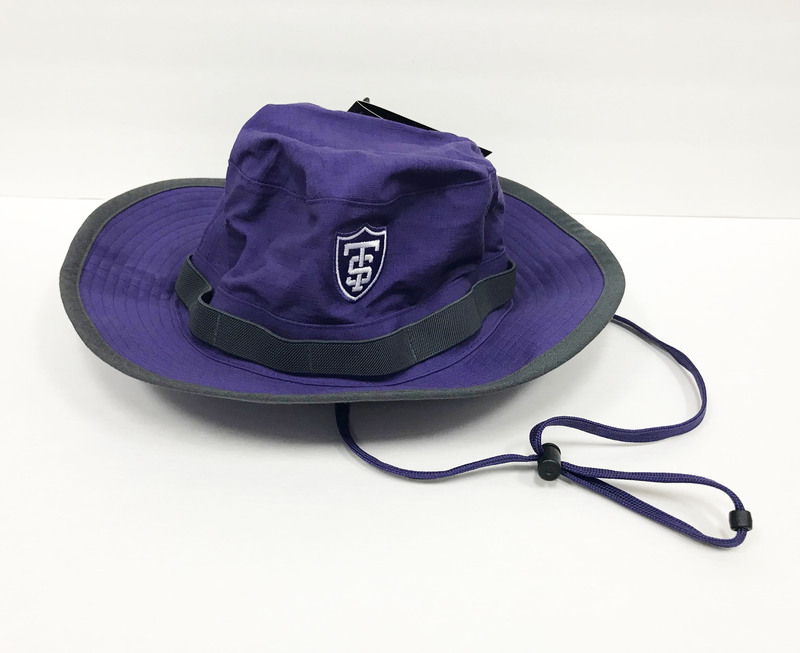 Purple Hat with Minnesota/Athletic Shield Patch by Legacy. 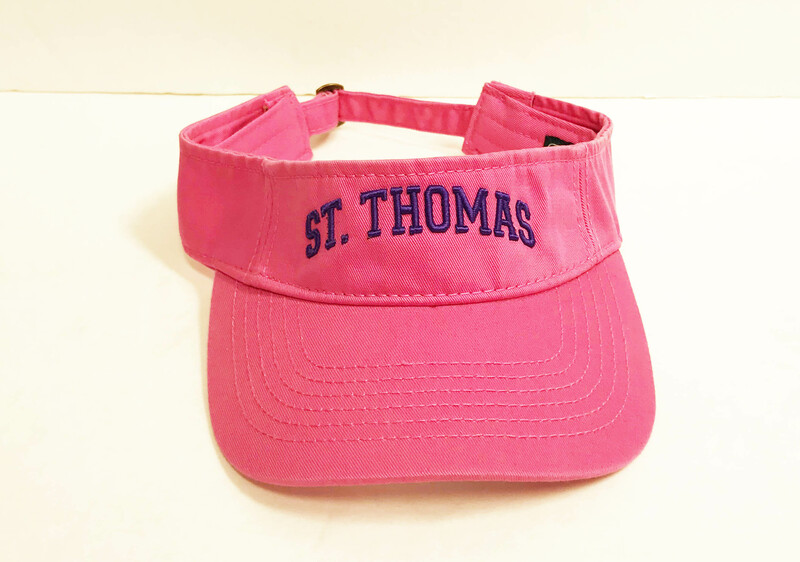 This hat has an adjustable back strap and St. Thomas embroidered on the left side in white. Purple Under Armour Hat with white embroidered Athletic Shield on front and UA logo on left side. Fitted/one size fits most/100% polyester/heatgear/backside embroidery. 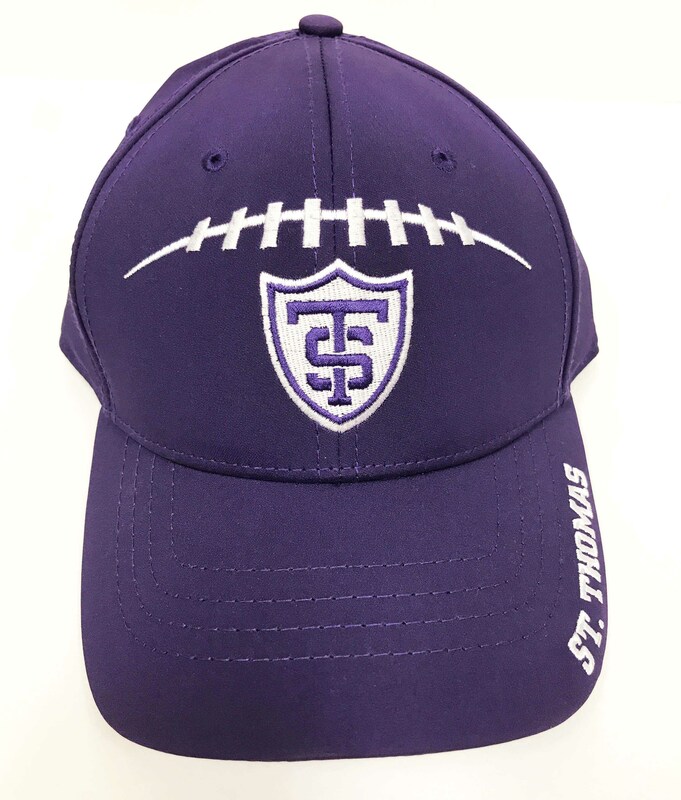 Please select option for Purple Under Armour Hat with white embroidered shield. Relaxed Pink Women's Twill with Tomcat by Legacy. This hat features and adjustable back strap. Relaxed White Women's Twill with Tomcat by Legacy. This hat features and adjustable back strap. Polkadot Purple Socks. 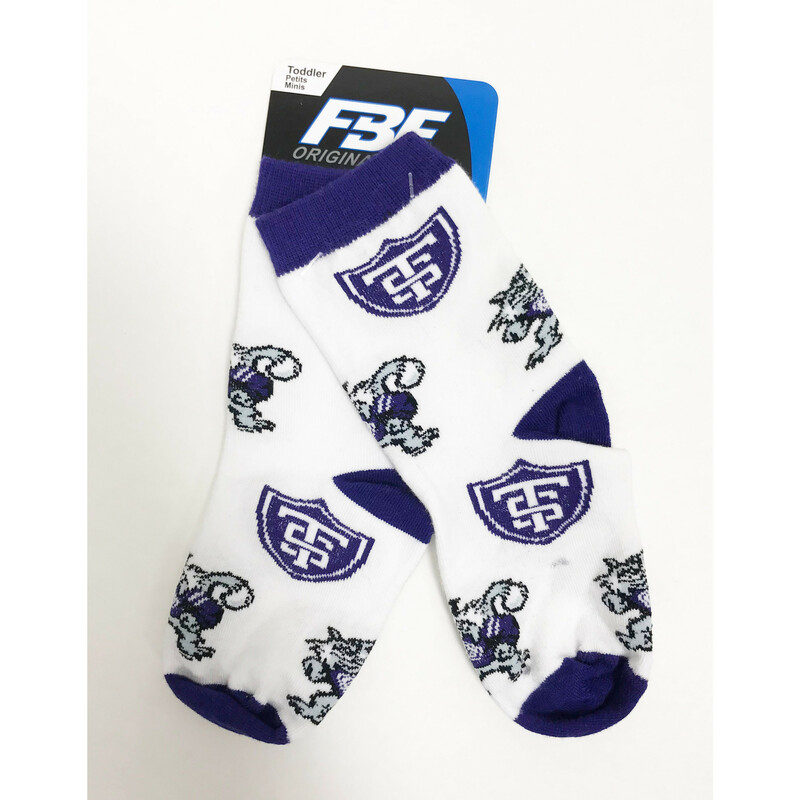 These cozy socks by TCK are 98% polyester and 2 % spandex and feature an embroidered athletic shield. Purple Socks. These cozy socks by TCK are 98% polyester and 2 % spandex and feature an embroidered athletic shield. 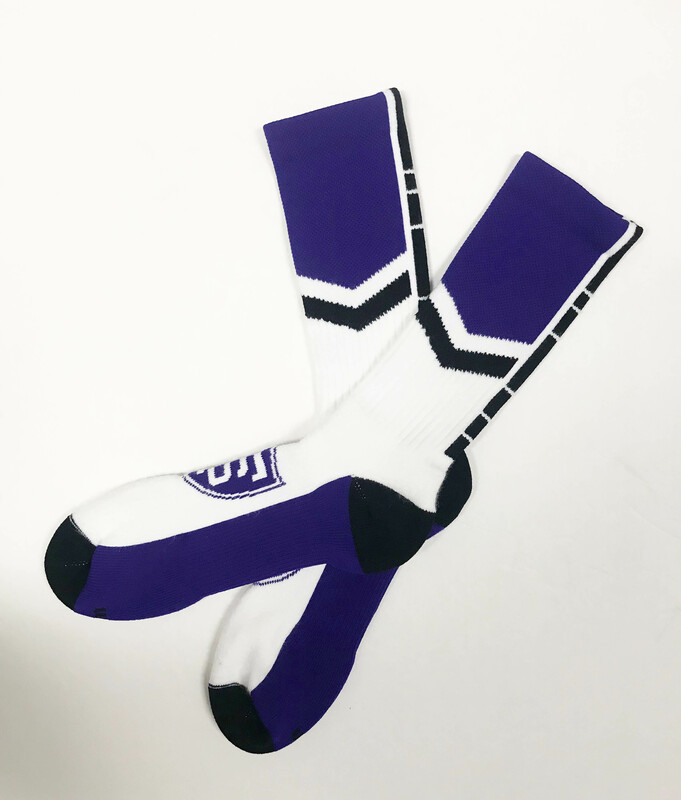 Please select option for Socks-St. Thomas Custom Socks by TCKSports. Under Armour Black Hat- Classic Fit. Fitted Cap with heat gear technology. Please select option for Under Armour Black Hat- Classic Fit. Under Armour Khaki Hat with Purple UA logo. One size fits all. Features an adjustable strap in back and an embroidered athletic shield. Under Armour Purple Hat- Classic Fit. 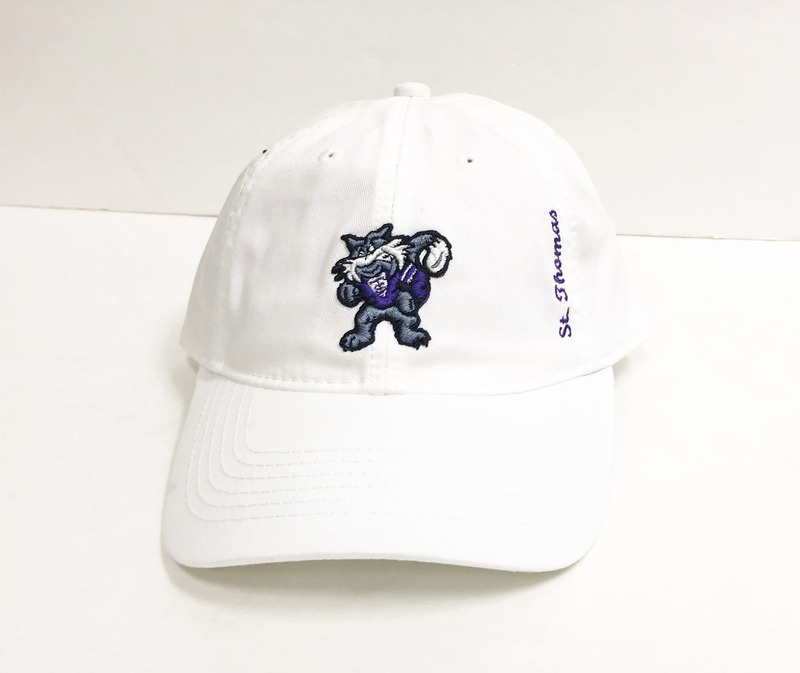 Please select option for Under Armour Purple Hat- Classic Fit.. This Nike Visor features a Velcro closure. 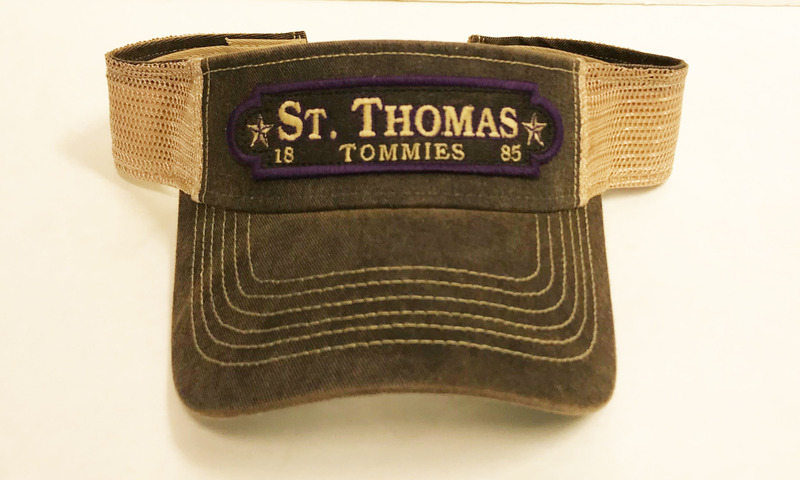 Visor-Faded Brown with "St. Thomas Tommies"
Visor-Faded Brown with "St. Thomas Tommies- 1885" embroidered in light brown. This hat features light brown mesh sides and back with an adjustable snap back. 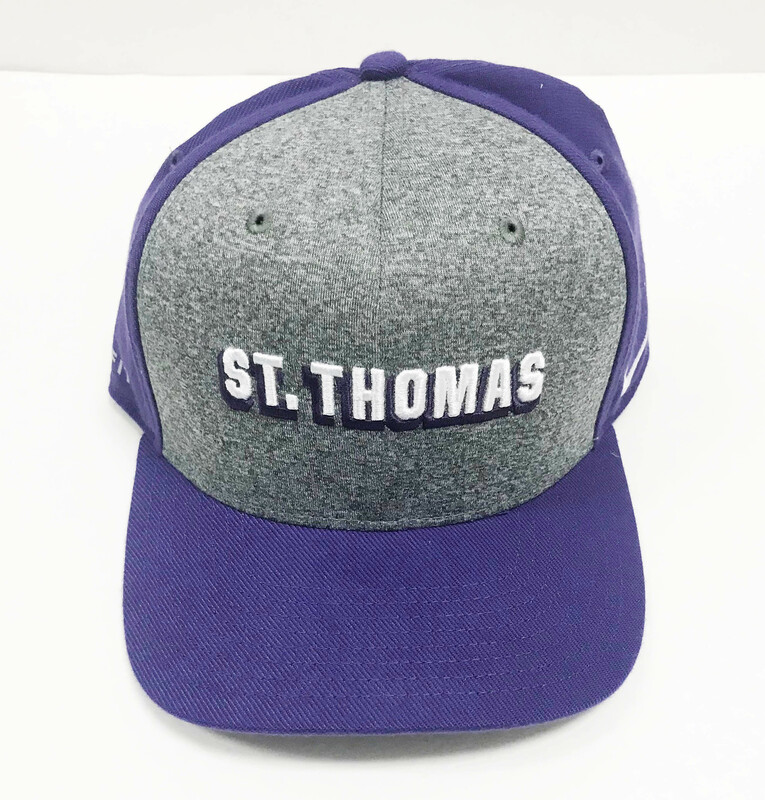 Visor-Purple with Grey Front & Purple Embroidery "University of St. Thomas" by Champion. Velcro adjustable back. 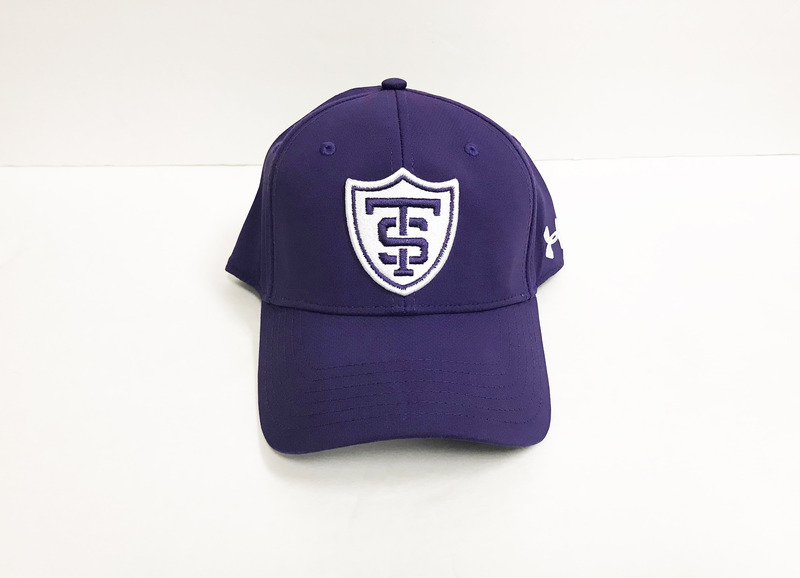 Visor-Purple with White and Grey Embroidery "University of St. Thomas" by Champion. Velcro adjustable back. White hat with purple mesh and snap back. This hat by the game features an embroidered athletic shield. Women's Black Sun Hat with Shield. This Sunhat is crushable and perfect for packing. It also comes with a free Logofit hair tie. Made with 60% polyester and 40% paper. 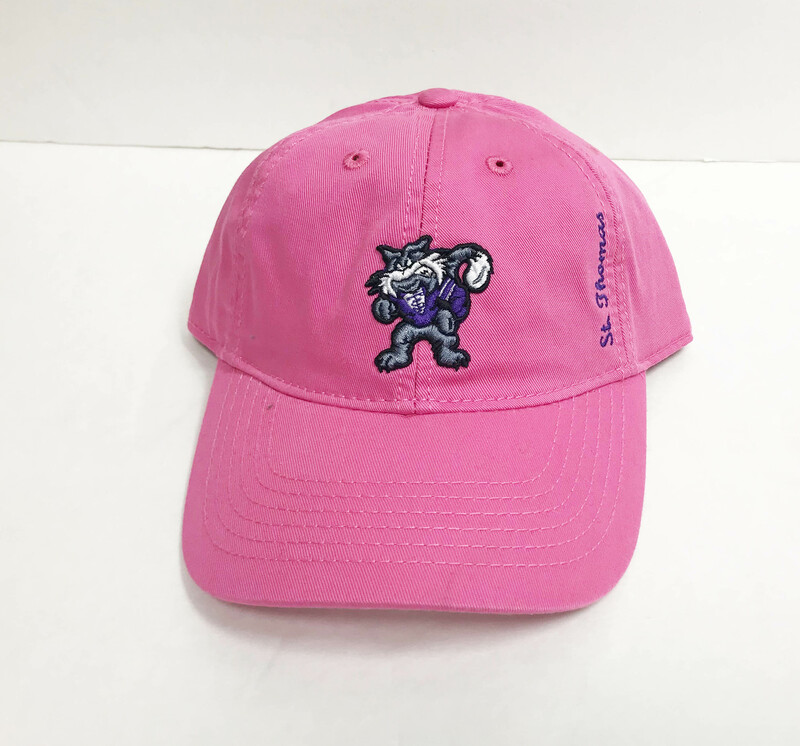 Women's Under Armour Classic Purple Hat. This hat features heatgear technology, white embroidery and an adjustable back. 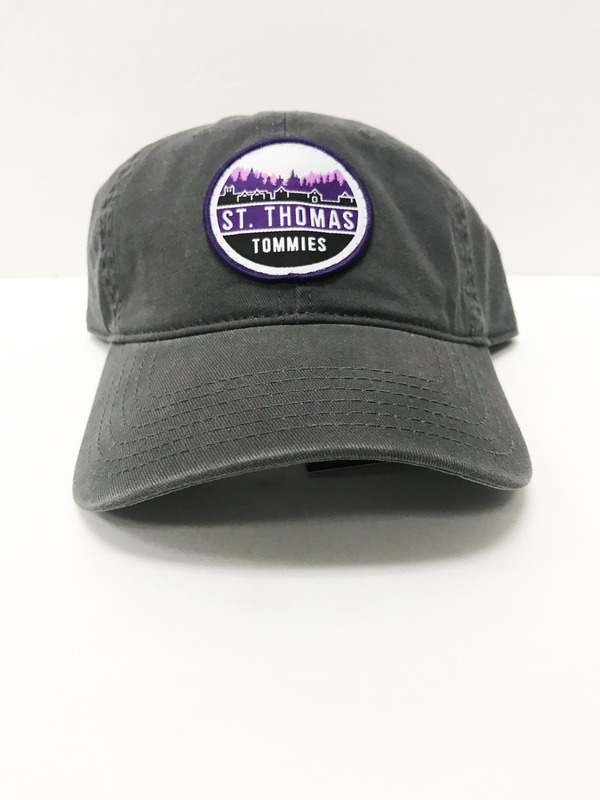 Worn Grey Trucker Hat W/ Front "St. Thomas Tommies" Patch by Legacy. This hat features a light grey mesh backside with a snap adjustable back.